A statement by the Watchtower Society released this week, is highlighting the achievement of two “major” awards for sustainable development actions. 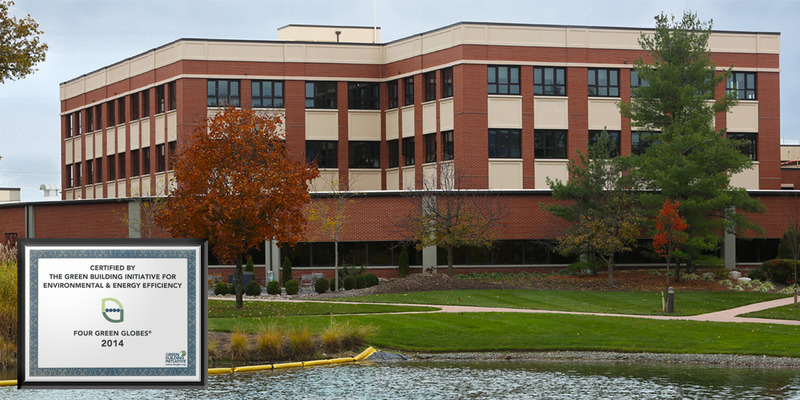 The Green Building Initiative (GBI) has awarded certificates for two new buildings at the United States branch facilities. The awards are achievements for the Watchtower Farms F Residence, completed in late 2012, and the Watchtower Wallkill Office Building, completed in 2014. ....................These Awards may indicate that sustainable management techniques are being applied to ensure the cost effectiveness of the buildings. The Green Globe Awards, of course, stem from a United Nations initiative. Why is the WTBTS even concerned about a LEED certification? WTH? Did they have to apply for it?. What hypocrisy. They don't care about anything the governments or even judges tell them to do and here they are seeking a LEED certification, an honor given by imperfect men? WTBTS is quick to condemn someones motive for seeking "higher education" saying they are just too proud, that they are seeking prominence in the world, while you should be seeking Jehovah's approval. Ironic, considering they've gotten in trouble in the past regarding improperly disposed-of waste. I dont know what happend with the chemicals but I like you to show some beautiful impressions of the surround of the Wallkill farms. If the WALLKILL FARM complex would be once sold and TURNED INTO a wellness complex or a GREEN VILLAGE / GREEN CITY e.g. by Brother Lorenz Reibling's TI Tauris Investments, that would be a good idea. In this picture you see Wallkill farms as white buildings between the woods.... a good place for a GREEN CITY!! As this region of America is wonderful, it is a great blessing that Jehovash people can live and work here. But most time they are only sitting the offices and factories and not spending time in the nature. If the WALLKILL FARM complex would be TURNED INTO A wellness complex or a GREEN VILLAGE and be renovated by Brother Lorenz Reibling, that would be a good investment A green village for the future. A waterfall in the near mountains. This is the link to brother Reibling's first green city project, the "Whisper Valley" in Texas. Could this be a model for the next Wallkill farm? Would the GB make a contract with TI Investments to remodel the area? I can already image how then brother Reibling then meets at this place cancellor Merkel and talks in german about the future of the paradisic earth. Perhaps even Putin will reside for a short time here in America at the former JW residences? The honours goes to all the photografers which uploaded these pictures to the net. 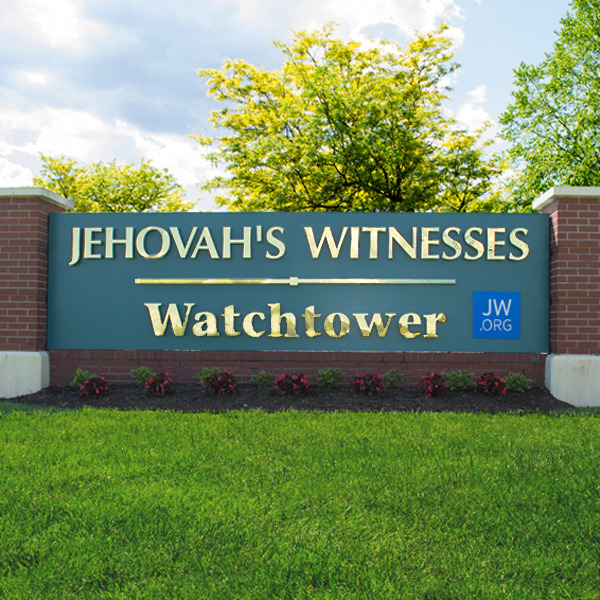 NEW YORK—Jehovah’s Witnesses, well-known for their global Bible education work, are receiving recognition for excellence in environmentally sustainable building design and construction. The Green Building Initiative (GBI) awarded certifications for two new buildings at the Witnesses’ United States branch facilities in Wallkill, New York: the Watchtower Farms F Residence, completed in late 2012, and the Watchtower Wallkill Office Building, completed in 2014. Both of the buildings received the highest award of Four Green Globes. 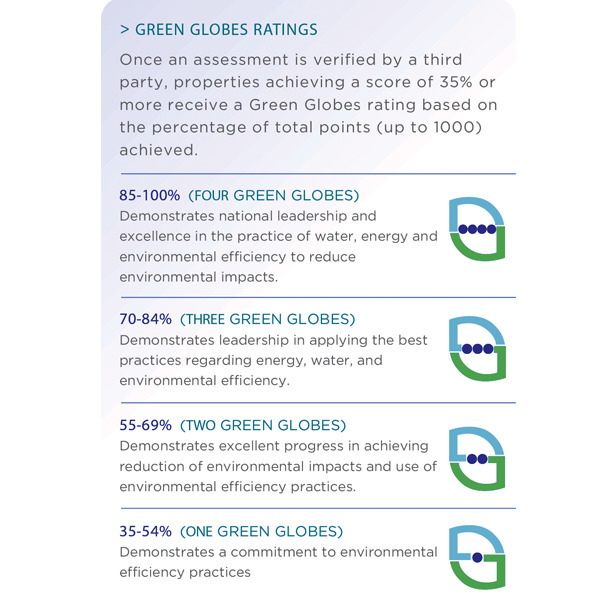 GBI administers Green Globes as a commercial rating system and certification program that utilizes a third-party on-site assessment of sustainable design and construction. Achieving a Green Globes rating requires environmentally sensitive site design that focuses on water management, minimization of energy consumption and greenhouse gas emissions, minimizing the impact on natural resources by selection of appropriate materials, and creating a healthful indoor environment. 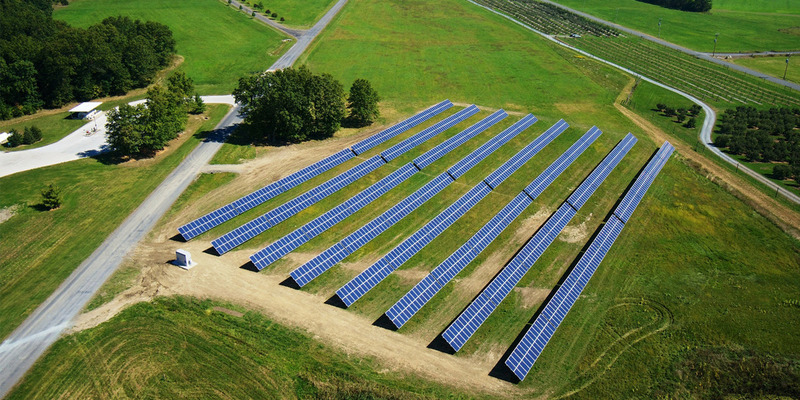 Photovoltaic panels provide at least 10 percent of the electrical energy needs for the Watchtower Wallkill Office Building, a feature of the building’s award-winning sustainable design. 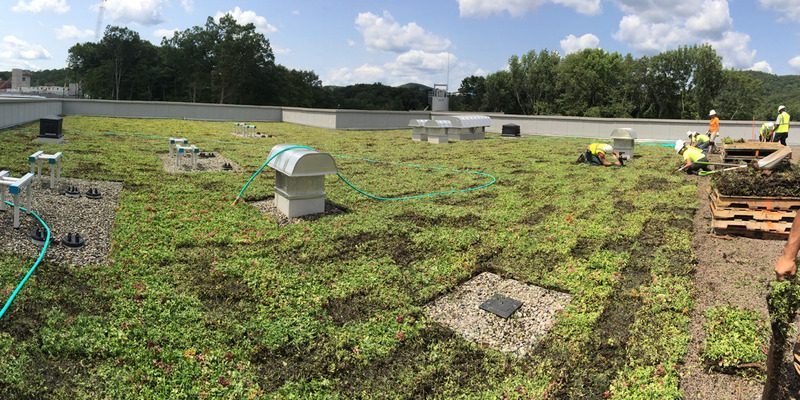 Installation of a green roof, one of the sustainable features of the Witnesses’ new world headquarters in Warwick, New York. 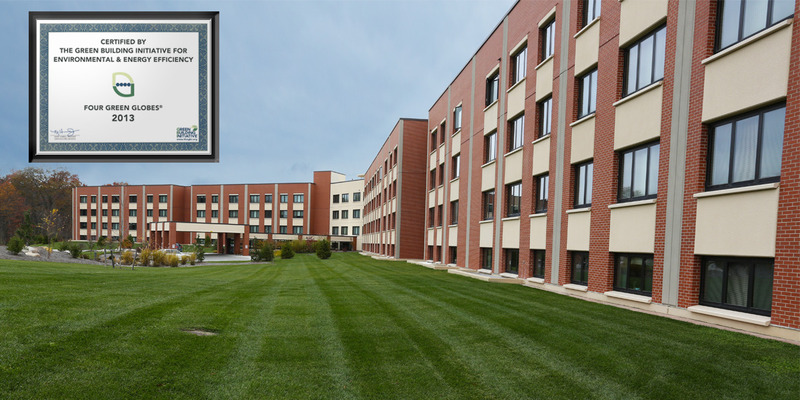 NEW YORK—Upon completion of their new world headquarters in August 2016, Jehovah’s Witnesses received official recognition for the sustainable design of their new facility in Warwick, New York. The Green Building Initiative (GBI), an organization which offers environmental assessment and certification programs for commercial buildings, awarded the Witnesses the highest possible rating of Four Green Globes for all seven of their buildings that qualified for consideration. The Green Globes rating system, courtesy of GBI. All seven of the Witnesses’ headquarters buildings eligible for consideration scored at least 90 percent, equivalent to Four Green Globes. The GBI, according to their official website, is “a nonprofit organization dedicated to accelerating the adoption of building practices that result in resource efficient, healthier and environmentally sustainable buildings.” The GBI provides ratings in sustainable design and operation for newly constructed buildings. As part of the rating process, a third-party expert in the field conducts an on-site assessment to verify GBI’s findings. 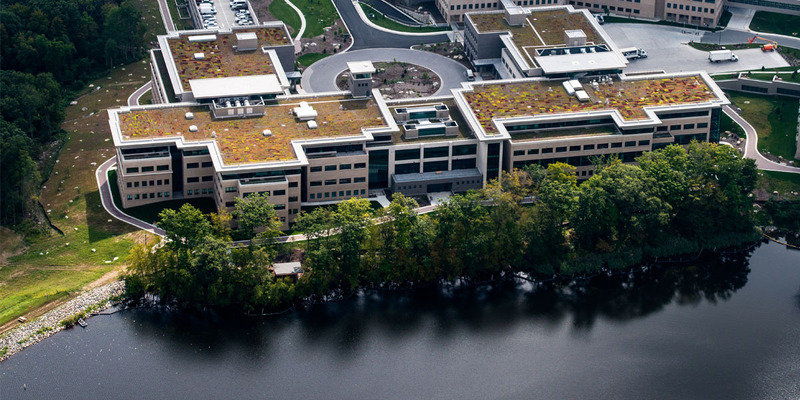 The green roof of the Offices/Services Building, composed of native flora planted in a growing medium over a waterproof membrane. Storm water runoff from the building is treated on-site to reduce strain on the public water infrastructure. The footprint of the Witnesses’ new world headquarters in Warwick, New York, occupies less than 20 percent of the 253-acre site purchased on July 17, 2009.